Mark brings to his association with SOAR over 24 years in sales holding a variety of successful executive management and individual contributor roles within companies that range from startups through the Fortune 500. As an individual contributor, Mark has consistently been a top performer, closing multi-million dollar sales, earning multiple President Club Awards, and achieving a variety of performance recognition awards. His experience ranges from transactional B2C business through large, complex B2B engagements. 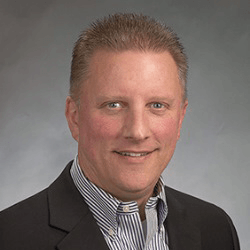 As an executive manager, Mark has developed sales teams from the ground up, where both inside and field sales have delivered exceptional results in short periods of time. In addition, Mark was the Founder and President of his own successful small business and a contributing member of two successful IPOs. Mark brings a wide variety of experience across multiple industries, applicable to organizations of all sizes. Prior to his affiliation with SOAR, Mark held a Director of Client Relations position with Sedaa, a Change Management consulting firm to Fortune 500 companies. Prior to this role he held the role of Vice President of Sales for Bradford Technologies, a software company based out of Silicon Valley where company revenues doubled under his leadership. In addition to significant practical experience, Mark has been formally trained in a variety of sales methodologies and has developed and delivered his own customized sales programs. Mark enjoys being a leader in the community and has been a successful entrepreneur. He volunteers as an athletic coach in youth sports and as a broadcaster for his local radio station. He has served as a commencement speaker and had a 19 year career in volleyball where he coached notable players (including three time Olympic Gold Medalist Kerri Walsh Jennings). Mark attended San Jose State University in California where he obtained his B.S. Degree in Administration of Justice and now lives in Santa Cruz near the coast with his three children Jake, Luke and Bella.